Yoga Teacher Training in 12 Days with Jimmy Barkan! Are you ready to change your life and become a Barkan Method Hot Yoga this summer? Japan, China, Hong Kong, Thailand, Hungary, Austria, Switzerland, Iceland, Greenland, France, Scotland, England, Ireland and all across the USA! 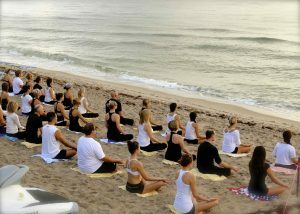 Putting his extensive experience and expertise to work, Jimmy Barkan offers Fort Lauderdale area yoga instructors, as well as those who are interested in visiting this beautiful area as a transformative training experience a Level I Barkan Method hot yoga training course. With more than 20 years of teaching experience, he is now bringing his extensive knowledge and expertise to up-and-coming instructors. Here you will dive in to teaching methods, guiding practice, body alignment, and yoga history — making these training courses a fully immersive experience that reaches to every aspect of your teaching. Get in touch with us today to sign up for the next Fort Lauderdale training session.